The Best Potato Chip Dip recipe will have you questioning that “no double-dipping” rule. And when I say love them, I mean that they are my go-to snack anytime I get a craving for something salty, crunchy and just downright delicious. But after years of eating chip after chip, I decided that it was time to give them some sort of a companion. A friend, if you will. After racking my brain, I created one of the Best Potato Chip Dips, ever. Seriously. I’m not just saying this because it’s my recipe (tempting…) but it truly is delicious. In fact, it’s so delicious that it’s become almost a requirement for me to bring to every family function. 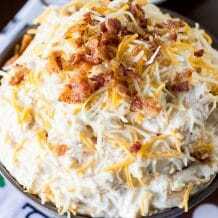 Without realizing it, I created a family tradition with this awesome Potato Chip Dip recipe. I love creating this recipe because it’s literally 3 (yes, three!) ingredients and it takes no time at all to create and eat. The sooner I can dip those chips into this awesome recipe, the better! Not only is it super simple to make, but the flavor is also truly delicious. Something about the way that the chili sauce and the onion salt combine with the cream cheese…it’s like the perfect tasty trio. 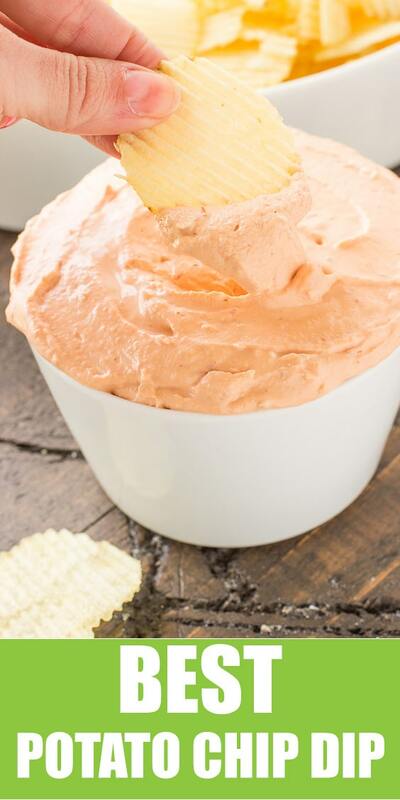 The next time that you need a quick and easy dish to make and take, this Best Potato Chip Dip recipe is sure to be a winner. Trust me and my family, we can’t get enough! ● CREAM CHEESE: two (8oz) packages. Make sure the cream cheese is softened before mixing. ● CHILI SAUCE: all you need is one (12 oz.) jar. You can find the chili sauce by the ketchup. ● ONION SALT: just 2 teaspoons. You can add more to taste. STEP 1: In a large bowl, using an electric hand or stand mixer, whip cream cheese, chili sauce, and onion salt until creamy and smooth. STEP 2: Place dip in a covered container. Put in refrigerator for at least 2 hours or overnight before serving. STEP 3: Serve with potato chips and enjoy. WHAT KIND OF CHILI SAUCE DO YOU USE? : I’ve received a TON of questions about what kind of chili sauce I used. So, I used one 12 oz. jar of Heinz Chili Sauce. MAKE-AHEAD: This potato chip dip is perfect for making the day ahead of a party because it is the best when it has been chilled in the refrigerator for at least 2-3 hours before serving but I like to make it the day before, so when the guests arrive I can just take it out of the fridge and it’s all ready to go. SERVE WITH: Of course this dip is the best with potato chips but it’s also good with crackers, pretzels, and I even love it with french fries. 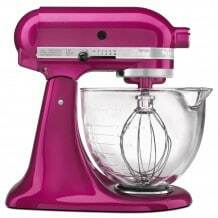 ELECTRIC MIXER: You will need to use an electric mixer because the more this dip is whipped the better it is. In a large bowl, using an electric hand or stand mixer, whip cream cheese, chili sauce and onion salt until creamy and smooth. 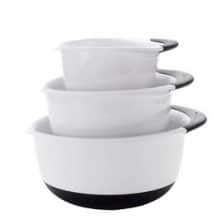 Place dip in a covered container. Put in refrigerator for at least 2 hours or overnight before serving. Serve with potato chips and enjoy. That’s so clever.. and it looks so delicious. We all love to snack potato chips and my husband is always looking for something to dip the chips in. I’m so gonna make him this. He will be thrilled. 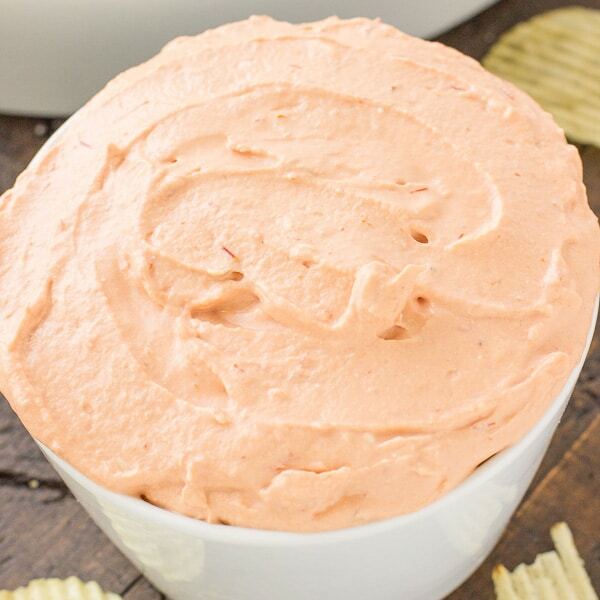 I have made a kinda similar looking chip dip with mayonnaise and my kids totally loved it. I need to make this cream cheese dip asap, my kids are totally gonna love it. Looks absolutely delicious! Oh my goodness! if you leave me alone with this bowl, you won’t find anything left in there. Such a delicious and easy recipe, a crowd pleaser for sure. I am such a sucker for those crinkle-cut style potato chips. I don’t like the regular flat ones, but the texture on those — I cannot get enough. Gimme all the dips to scoop up on those chips! Chips and dip is my go to football munchie food! It’s always a winner. Thanks! 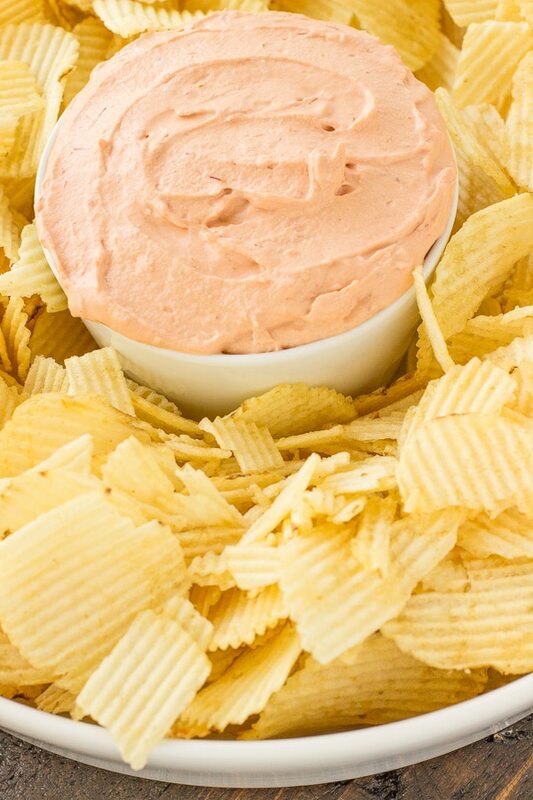 My favorite thing in the ENTIRE world is chips and dip! There is a french onion dip in the midwest that I CRAVE on a regular basis … it sounds crazy, but I’m so picky about dips! This one sounds amazing – and so simple! Definitely adding to my list! This really is the best dip ever, but it is not an original. My mom made this exact dip when I was a little girl so I have been making it for 60 years. Believe it or not I’ve never had dip with my potato chips! I always have them on their own usually with a sandwich but this is such a fun idea especially for game day! Would you believe that I have never ever dipped my potato chips into anything? I guess I have lot lived haha! This one is on the bucket list! Counts as Self-care, right? Happy weekend! This looks great for those occasions when you just really need some crunchy salty potato chips! Honestly, I don’t even remember the last time I had chip dip. This looks and sounds delicious. The perfect thing for movie night. I know hubby would love it too. This is such a simple recipe, even my daughter (who hates cooking) could make it. Great for the upcoming football events too! Oh my gosh! 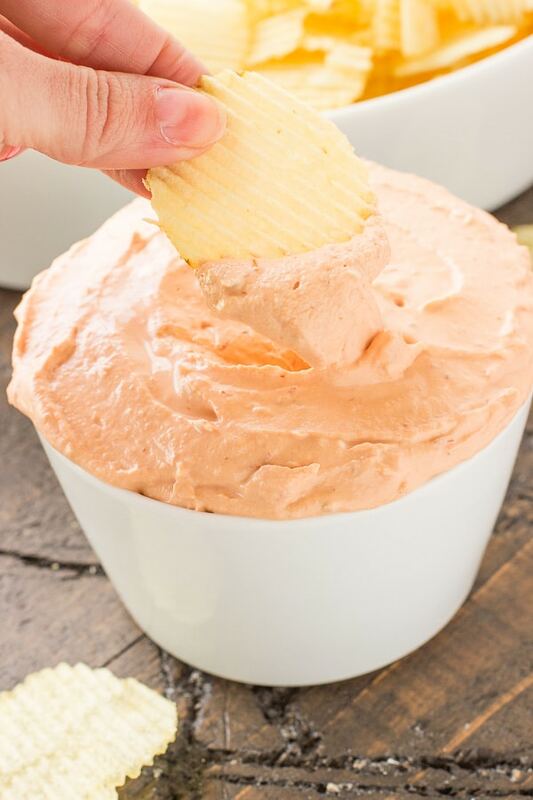 This chip dip looks so EASY to make and I bet it’s scrumptious! I definitely have to make this for my next dinner party! This recipe looks like a keeper! 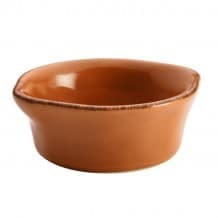 I always need something to dip my chips in, and this looks perfect! Can you use Home Made Chili Sauce ? Or do you prefer Store gotten ? Homemade Chili Sauce would be amazing! Enjoy and Happy Holidays! Add shrimp and serve with Bugles. This is very close to a dip that has been in my family for 4 gens. My grandma got it off the side of a box of chips. 1/4 cup each of french dressing and ketchup in place of chili sauce is the only difference. And my gramma grated onion on a microplane instead of salt or powder. Is it okay to use onion powder instead of salt? Yes, you can use onion powder! This truly is the best chip dip I’ve ever made! Delicious! 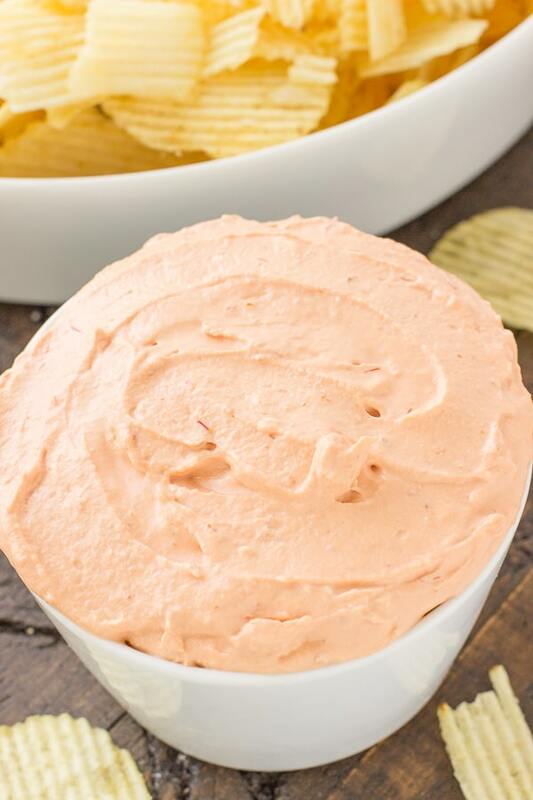 The perfect dip for game day! I’m sure this would be gone so fast! 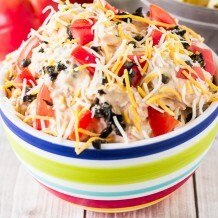 This is one of our favorite chip dip recipes!!! So good. Added 1/2 pound cooked shrimp a touch of lemon juice and some fresh chopped dill, This was fabulous, If using frozen cooked shrimp squeeze out as much water between paper towels before adding to mixture. Made this with chopped green onions and small chopped salad shrimp. Delicious!! Found the Heinz Chili Sauce next to BBQ Sauce in Safeway, in a “catsup” bottle. Not spicy, so good!! Since it’s only cream cheese (and doesn’t have sour cream and/or mayo, etc) is it really thick especially if you use thinner potato chips rather than Ruffles or Kettle Fried Chips? Maybe the chili sauce is enough to make more like a dip consistency, but just wanted to ask. How would u rank spice level? Here lately I can’t handle any spice due to heartburn and dental issues causing my taste buds to be very sensitive. I wasn’t sure if the chili sauce is too hot for this sissy? I definitely want to try it. It’s not thick at all because you whip the cream cheese and chili sauce together, you can use any chips. Also, it’s not spicy or hot AT ALL! Enjoy, you will love it! I will definitely try this. I love chips and dips. When I was in high school a friend made something similar. Try cream cheese, ketchup, and chop onion very fine and mix it together. Very good. Yum, chopped onions sounds like a great addition! I have made a version of this dip and it is delicious. One thing to try if you have left over lump crab meat, boiled shrimp or crawfish – chop small and add to the dip. Yum! Thank you for sharing your recipe. OMG! I made this last weekend for my son’s graduation party. Everyone loved it! This will definitely be a keeper. Sounds good will have to try this . So it’s really just three ingredients–the cream cheese, while there are two packages used, is still just one ingredient–which makes it even more appealing. I’ll have to try this. 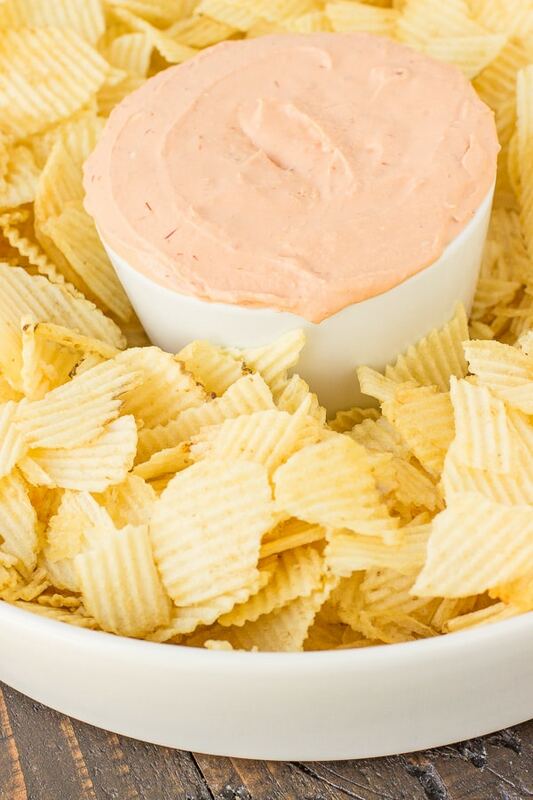 I like potato chips occasionally, and a great dip makes them even more inviting to enjoy on those occasions. Yea, it’s really only 3 ingredients! 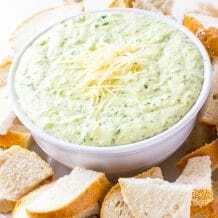 You will LOVE it, it’s one of the best dip recipes EVER! Every time I make and bring it to a party everyone loves it! What kind of chili sauce? I use Heinz Chili sauce, just the regular kind. What kind or brand of chili sauce. I used Heinz Chili Sauce.